A land claim protest led to a temporary closure of the N2 Garden Route. 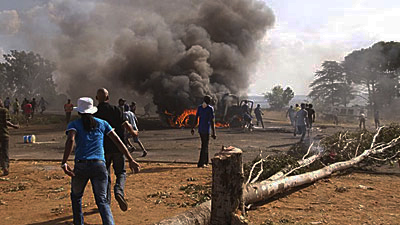 The amaFengu community blockaded the national road, hoisting placards and calling for President Cyril Ramaphosa to intervene. The residents say they have been waiting for over four decades to have the land returned. They were forcefully removed from Tsitsikamma to Keiskammehoek in 1977 under apartheid laws. They returned in 1994, after the Land Claims Restitution Act came into existence. Decades later and 486 household land claims are still pending. “We want the president to give this attention. We know he will be in Makhanda on the 27th and we will be there to tell him about our plight. It’s been years and we can’t carry on like this. Government needs to give us our land and the money that we are owed,” says Land Claim Task Team Chairperson, Mbongeni Ntsinde. Kouga Mayor Samuel Vuso received the petition by residents, who have vowed to close the N2 again should their demands not be met. “I have received the petition and I know this has been an ongoing issue here. I will table it to the presidency and respond back to the community in 7 days,” says Kouga Mayor, Samuel Vuso. Residents are also threatening not to allow Electoral Commission of South Africa (IEC) officials to erect voting stations on May the 8th. “I refuse to vote, and they will see, we won’t allow any IEC officials here. We will chase them away,” says one resident. “The government will see how serious we are. We are ANC voters, but we vow that no party will get our votes until Ramaphosa intervenes in this matter,” added another resident. The amaMFengu community says the land in question is a 75 kilometre stretch from Humansdorp extending west, past Storms River. 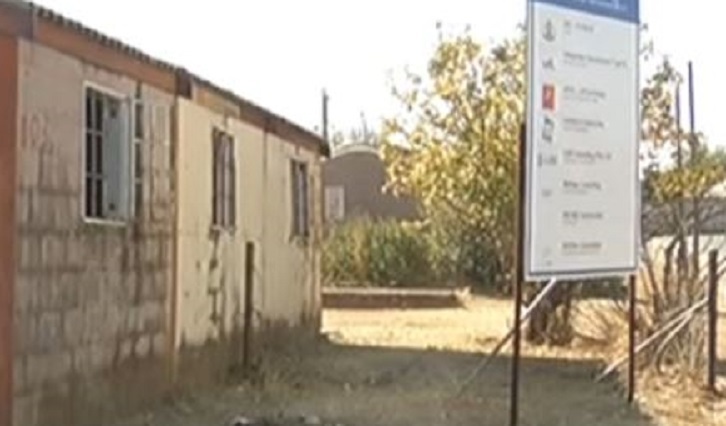 The post amaFengu community up in arms over long-standing land claim appeared first on SABC News – Breaking news, special reports, world, business, sport coverage of all South African current events. Africa's news leader.. The Arts and Culture Department says it will do everything possible to recover money lost in the planning of the Winnie Madikizela-Mandela Museum project in Brandftort. The post Efforts to recover ‘missing funds’ in Winnie Mandela Museum project appeared first on SABC News – Breaking news, special reports, world, business, sport coverage of all South African current events. Africa's news leader.. Categories: News Author 3ajlnewsPosted on April 24, 2019 No comment on #Elections2019: Will ANC’s irregular heartbeat in Eastern Cape keep DA at bay? #Elections2019: Will ANC’s irregular heartbeat in Eastern Cape keep DA at bay? Port Elizabeth – Since the dawn of democracy the African National Congress (ANC) in the Eastern Cape has always dominated the polls and were guaranteed an outright majority. Analyst foresee the party suffering some losses but still maintaining that status quo. It is yet to be seen if a so-called ‘renewal’ can overshadow ongoing elements of factionalism and corruption to bring back the voter who has trusted the party over and over again for more than two decades. The ANC in the Eastern Cape has undergone a steady decline for the past 20 years with divisions being sown after former president Jacob Zuma took over the party reins. A few months of "Ramaphoria" may not necessarily quell factional battles and bring about instant unity the party so desperately seeks to portray. In 2014, the ANC in the Eastern Cape took 70.09% of the vote. Senior Research Specialist in Democracy at the Human Science Research Council, Professor Joleen Steyn Kotze, said that come May 8 the ANC may see a further decline in electoral support. Kotze said that while the ANC may champion an energy of renewal, she was not convinced the narrative may necessarily get their voters to the polls. While decline in electoral support may also not be significant enough for the party to lose control of the province, what would emerge was a more politically balanced legislature. Lecturer and Phd candidate in the Political and Conflict Studies Department at Nelson Mandela University (NMU), Ongama Mtimka, believed the ANC would maintain its majority with relative comfort but not without "dynamic fragmentation", the rise of smaller political parties posing a slight threat. Mtimka observes that factionalism in the ANC runs deep and no province remains unaffected. He said a peculiar situation happened post the Nasrec 2017 elective conference when pre-conference camps did not demobilize after the conference and were actively wanting to depose the current leadership. According to Mtimka, this had bearing at provincial and regional levels. "The Eastern Cape faces instability in Nelson Mandela Bay and the comments made by the provincial leader and [Cyril] Ramaphosa about poor performance of coalitions while campaigning here show possible moves against some of the local leaders after elections," he said. Meanwhile, Kotze points to electoral trends that have shifted, most notably in the urban areas. During the 2016 local government elections the ANC embarrassingly lost Nelson Mandela Bay, its biggest metro in a province the party considers its heartland. In 2015 and 2018, the regional executive committee of the ANC in Nelson Mandela Bay was disbanded, something the provincial leadership acquainted with spiraling membership numbers. According to Kotze, similar moves played out when the city saw the disbanding of the ANC under the leadership of Nceba Faku and the factional battle with former mayor Zanoxolo Wayile that turned the Council into a political theatre and brought service delivery to a stand still. Last year a DA-led coalition was ousted from power in the city and was replaced by a current coalition dominated in numbers by the ANC. "For the ANC to restore that trust, it is imperative that service delivery be accelerated under their coalition government. However, given the controversy surrounding the current coalition government, I do not foresee that enough may have been done to restore political trust in the party." Kotze said the decline in electoral support extended to another big metro, the Buffalo City Municipality. She said the liberation narrative, a key rhetoric of ANC campaigning, may not resonate with the youth. "The electorate are looking for a better life, and given the fact that most municipalities in the Eastern Cape do not receive clean audits, as well as the deficits in education and health provision we may find that the electorate will either cast their vote for another party or stay away from the polls." Looking at opposition parties in the Eastern Cape, the Economic Freedom Fighters (EFF) had obtained 3.48 percent of the vote while the Democratic Alliance (DA) received 16.2 percent of the vote in 2014. Kotze said while the EFF had grown, the party did not make huge inroads in ANC dominated areas in Nelson Mandela Bay during the 2016 local government election. She said the DA performed better in ANC strongholds. "The DA has shown marginal, but steady growth in ANC strongholds over the last few elections." "Whether they will be able to undermine ANC dominance in those areas remains to be seen. However, given their growth in the province, I do believe the party stands a good chance to increase its seat allocation." "I do think that the EFF may increase their share of the vote, but this could be with the aim of not necessarily winning the province, but rather to be in a position to be a proverbial kingmaker should neither the DA or ANC get an outright majority." Kotze said the United Democratic Movement (UDM), which obtained 6.16 percent in 2014, had also been on a steady political decline since 1999. "The controversy surrounding Executive Mayor Bobani may harm the party at the polls and we could see a further decline of the party." In 2014, 18 political parties contested provincial elections while this year we see a notable influx of new political formations with 26 political parties in total on the ballot paper. According to Kotze, new political formations are a normal response when support for dominant parties start to wane. "This speaks to trying to create new political alternatives to challenge dominant parties," she said. Hailey Bieber says she feels "most inspired" and "very beautiful" while soaking up the sun on the beach. The 22-year-old model is constantly jetting off to shoot in various locations around the globe and says that although there are many countries that influence her beauty looks and style, she feels "very beautiful" while soaking up the sun. In an interview with America’s Glamour magazine, she said: "When I’m shooting in Europe, or I’m on set in Paris, London, or Milan, or when I’m doing fashion shows, I get a lot of make-up inspiration that way. "But with beauty in general, I feel the most inspired when I’m on a beach. I feel very beautiful in that environment". Hailey – who is married to singer Justin Bieber – went on to share her top beauty tips and insisted it’s all about highlighter when she creates her make-up look. She said: "Learning exactly where to place highlighter–like the right spot on your nose, a little on your Cupid’s bow, on your cheekbones but not too low. It’s all about watching how it hits the light. "I’m a big highlighter fan. I also love tricks like using blush on your lips, lipstick on your cheeks, or lip gloss on your eyelids. It actually makes a big difference." The blonde beauty added that she feels it’s "bulls**t" that all cosmetics are healthy to use on your body. She said: "Something that I know for a fact is bulls**t is that using any make-up on your face is fine. Or that using anything you bought at the store is OK for your body or your skin. If it’s not a healthy product, it’s usually bad for you."